Government’s cost-cutting has led to a storm of protests – not least in south-east London. Can private companies such as Peyk be a good solution to this problem? 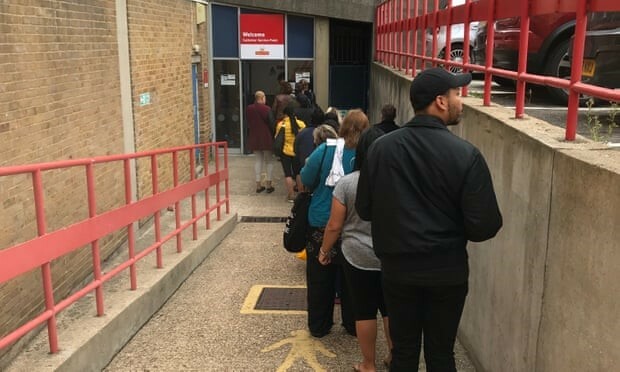 If you face a long wait in the queue at your local parcels office to pick up a missed Christmas delivery this weekend, spare a thought for those living in one part of south-east London who say they have endured months of postal woes after Royal Mail closed their depot. Lost bank cards, letters taking a month to arrive, several days between deliveries and, most frustrating of all, 60-minute waits in the rain to pick up parcels that could not be delivered: these have all been endured by East Dulwich residents who are furious that Royal Mail appears to be failing to provide the service it is legally obliged to offer. But it is not just an issue for East Dulwich. Since it was privatised, Royal Mail has shut more than 50 delivery offices and more closures are threatened as the company seeks to reduce costs. If your local office is under threat, you had better hope the process is better managed than the Dulwich debacle, say many in south London. In September, and despite a long campaign by the local MP backed by residents, Royal Mail closed its Silvester Road depot. Postal deliveries are now sorted and delivered at a much larger depot in Peckham, which is a 30-minute walk away. Undelivered parcels have to be collected from there too. The problems started almost immediately after the switch, say residents. They say they are lucky if they get one delivery a week. Important documents including a number of bank cards have gone missing. One Dulwich resident says six bank cards sent to her household have all failed to arrive. Postal workers have admitted to customers that they don’t have time to complete rounds, meaning some houses go unvisited for days on end. Those unlucky enough to miss a parcel delivery must head to Peckham to collect their items – an hour-long trip by bus – where they then say they face waits of up to an hour. They describe a chaotic office that was unable to cope even before the Christmas rush got going. Affected residents have bombarded Royal Mail bosses and their MP, Helen Hayes, with complaints.